Jumpsuits and rompers are the newest trend in formal wear. 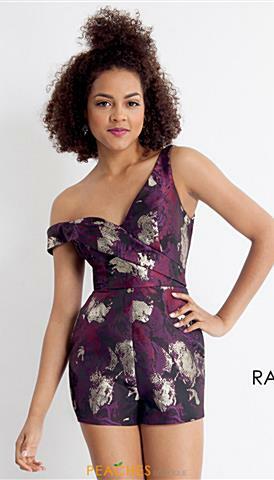 Homecoming rompers allow you to show off your unique fashion sense in a fun and different way that most people wouldn't expect. Designers like Rachel Allan, Jovani, and Sherri Hill are a few that have really brought prom jumpsuits and rompers to formal wear, highlighting intricate bead work and applique detailing. Whether you are looking for a long or short style, with minimal embellishments or covered completely in stunning bead work, you can find the perfect jumpsuit for your prom at Peaches Boutique in Chicago.